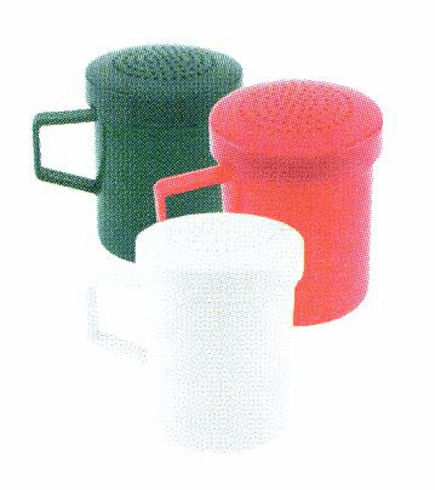 Plastic all-purpose shakers. Measures 3.5". Comes in assorted colors; red, green, and white.